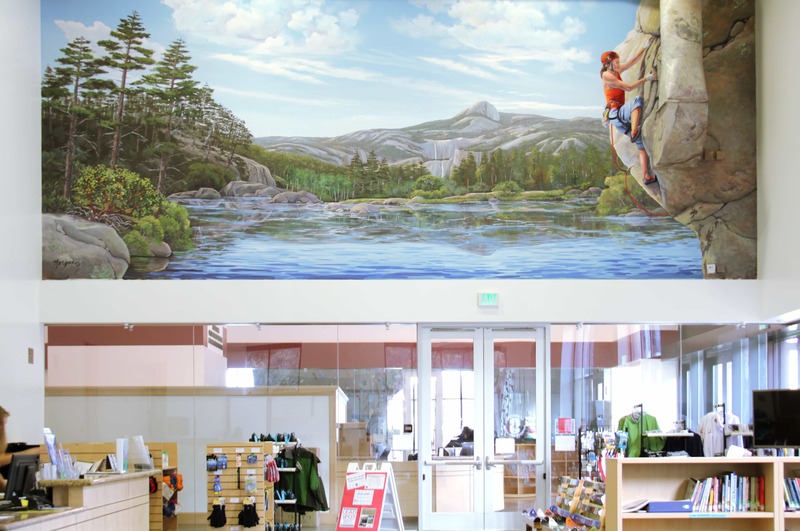 I painted this mural at the Arrillaga Outdoor Education Center at Stanford University. 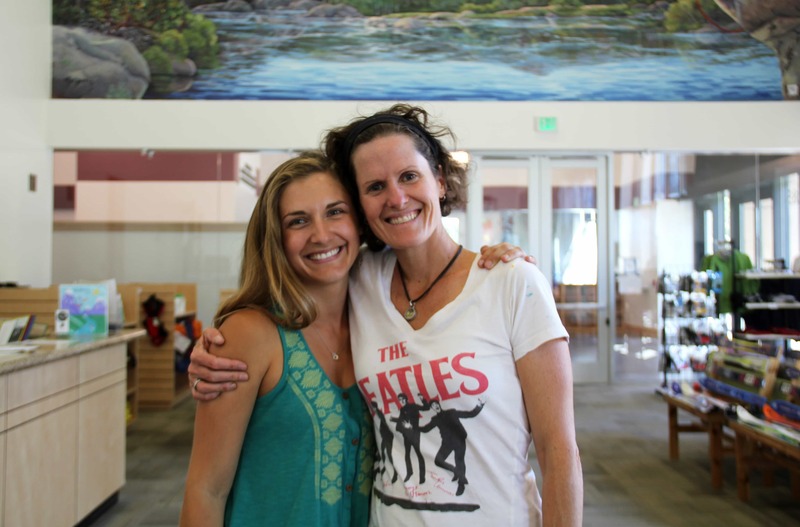 Their purpose is to support and facilitate outdoor adventures for the Stanford community. They wanted to create a unique and inviting space for the Stanford community to come plan and get inspired about their next outdoor adventure. 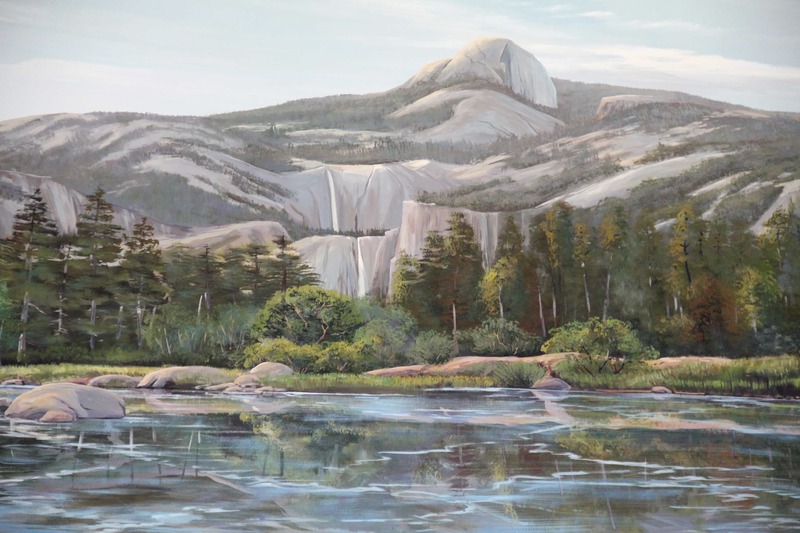 What better way to serve up a big dose of inspiration than a larger-than-life mural that features a breathtaking Yosemite view with a dynamic rock climber in the foreground? 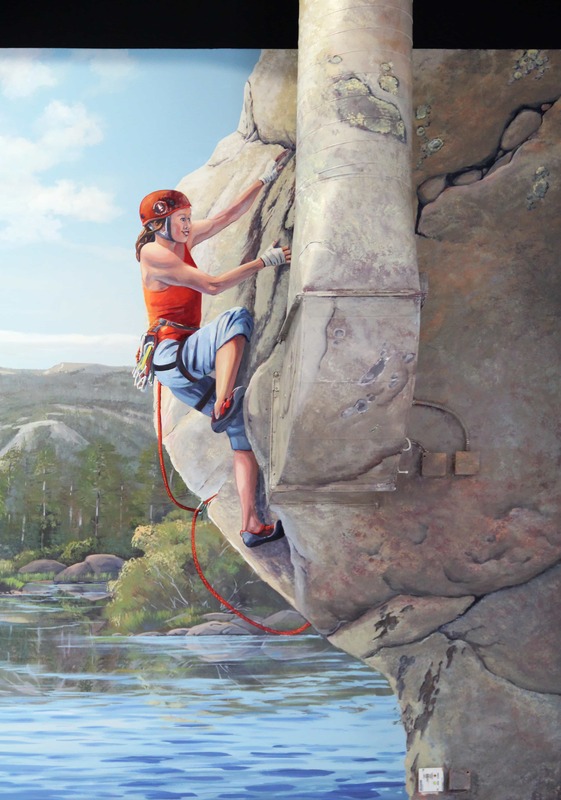 The best compliment I received on this project was when the director of the climbing wall adjacent to the space told me, “This mural really makes me want to get out and go climb!” My mission with the mural was accomplished! 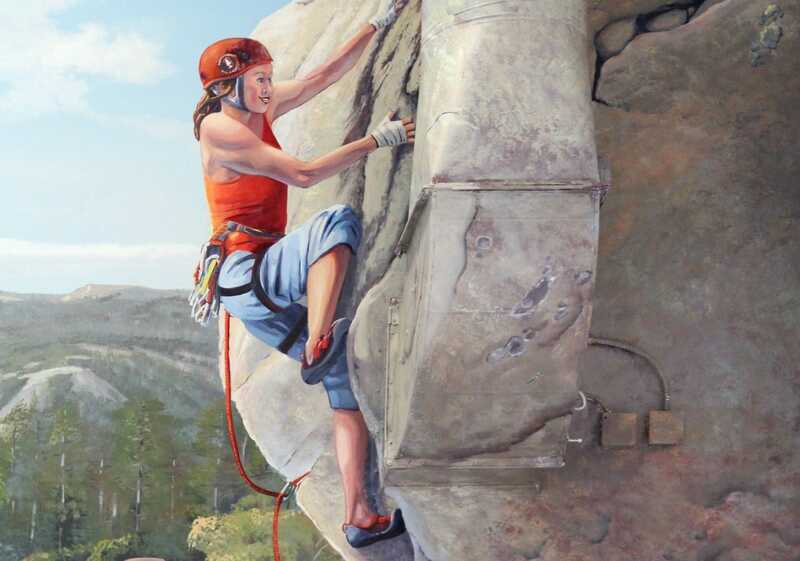 For more information about this mural project, read my blog post A Cliffhanger at Stanford.